Consolidation is already underway in the high-stakes business of satisfying the public's need to know about cannabis. But as Canadian players face off again the historic High Times, they are struggling to find a business model that works. But will the euphoria fade before they figure out how to make a profit? "What's the buzz? Tell me what's happening," goes the '70s rock anthem. Part of the catchiness of the lyric — from the rock musical Jesus Christ Superstar — was that in that era the term "buzz" had developed a second spicy meaning. It described the high that people got from smoking cannabis. 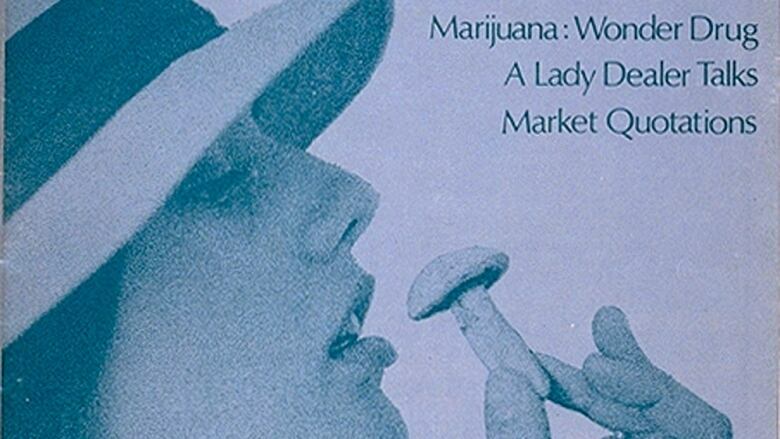 In the 1970s, the magazine High Times was a brand new title keeping an eye on the illegal but growing business of marijuana pricing and sales. It ran centrefolds of glistening pot plants and of an apartment filled to the windows with what the magazine insisted was an entire ton of cannabis. Now some of Canada's most staid media voices are looking for ways to go toe to toe with High Times and its U.S. competitors, hoping to profit from Canada's global head start in legal recreational cannabis. But when it comes to making a killing from spreading the buzz on the cannabis biz, to quote another '70s rock anthem, It ain't easy. Just because of its age and staying power, one of the titles to beat is High Times, currently trying to raise money through an initial public stock offering. Claiming a market capitalization of more than $200 million US, the magazine is itself becoming a story for its upstart competitors as it appeals directly to the public to try to find investors. So far, the magazine has failed to meet its money-raising target, well below the roughly $17 million US it will need to get a listing on New York's Nasdaq stock exchange. As of last month, the Los Angeles-based media company had commitments for about a tenth of its ultimate target of $50 million US in new shareholder investment, and it has already extended its deadline for people to take a piece of the action. That's not a knock-your-socks-off investor reaction to the future of pot media, but already the company is putting its money to work. Last week, High Times bought Seattle-based DOPE Media, just one of a series of purchases orchestrated by High Times CEO Adam Levin. Certainly, despite the hype and wall-to-wall coverage, it remains unclear if cannabis media will ultimately be any more profitable than other parts of the struggling journalism sector. "The advertising revenue has been negligible," says Paul Samyn, editor of the Winnipeg Free Press and a Canadian pioneer of specialist cannabis coverage. Market research shows his paper's website, The Leaf, is a success, attracting about 40,000 unique hits a month from coast to coast, well beyond its normal Winnipeg and Manitoba coverage region. Seventeen per cent of the traffic comes from the U.S. But, as Samyn says, so far the financial case for an advertising-funded model is harder to make. Almost one year after its launch, the site's most prominent ad is one of its own asking for advertisers. And while Samyn is convinced The Leaf has filled an important niche and brought the Free Press to greater prominence, the revenue potential was hurt by restrictive Health Canada rules on cannabis advertising. "I think we all assumed it would kind of be like liquor," Samyn says. "And they're treating it like tobacco." At the Financial Post, editor Nicole MacAdam has just hired another journalist to help cover the complex world of cannabis startups and mergers. 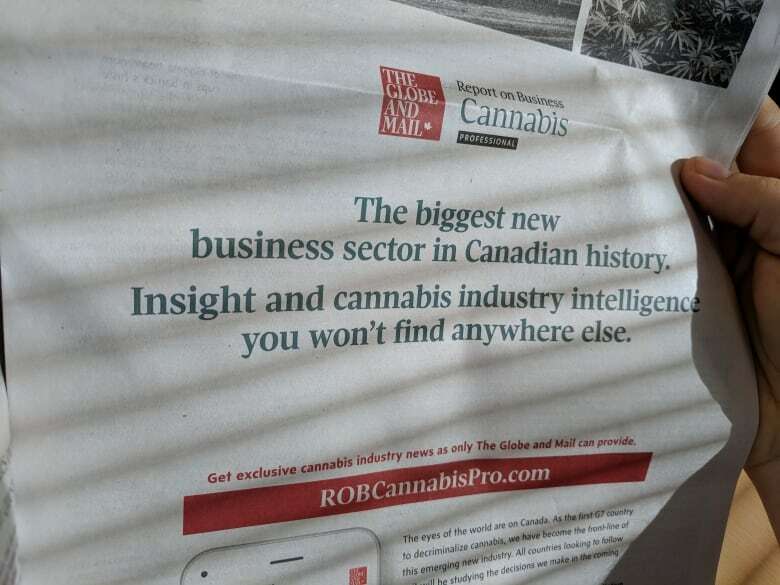 The business section that runs in Postmedia papers across Canada has had a full-time cannabis business specialist for the past two years and many general assignment reporters who contribute to the coverage. Postmedia also has a free-access site called The GrowthOp that launched about five months ago. MacAdam says that while it may be difficult to show the direct revenue stream attributable to pot reporting, the sector has become so high-profile there would be a cost in lost readership if Postmedia failed to keep up. At the Globe and Mail's Report on Business, Garth Thomas, the paper's head of business and financial products, has a different revenue strategy. He's offering a new paid subscription service called Cannabis Pro, produced by a team of five business reporters. The service is regularly priced at $2,000 a year for a subscription, but with millions at stake in the booming sector, Thomas says that amount is well within the price range of not just those in the industry but those in the legal and financial professions that serve it. "Not only are we serving the Canadian market, but we know, because we're a first mover as a country in this industry ... Canada is seen as a leader," Thomas says. He expects at least 25 per cent of subscriptions to come from outside the country. But, of course, just as Canadian media groups target readers elsewhere, in the internet age, U.S. companies have their eyes fixed on Canadians. One U.S. competitor with a growing profile is Marijuana Business Daily, a service that's free online with a staff of about 20 specialist reporters, including one in Ontario, says CEO and founder Cassandra Farrington. The Colorado-based Farrington says her business-to-business newsletter company saw an opportunity in 2011 as changing pot laws resulted in a growing number of inexperienced startup businesses. "We thought, well that's an interesting group of people who really know their product but they don't know business." She says that like many conventional media, the news service just barely covers its costs, but it draws an audience to the profitable company's list of other services including how-to books and cannabis business events, with total revenue of $18 million US. Whether profitable or not, the cannabis information specialists listed here represent a small sample in a rare part of the news business that is growing. It is hard to imagine all these ventures surviving. After all, while there may be specialist publications for the alcohol and tobacco industries, they are few and far between, and certainly not mainstream money-makers. Like the business it's covering, the cannabis media sector is itself going through a dynamic phase as new entrants struggle to compete in a growing but uncertain market, and as big fish eat little fish. "You know you're talking to an entrepreneur and there's not an entrepreneur who's not willing to always have that conversation," says Farrington, referring the possibility of selling Marijuana Business Daily. "But we're not under any financial pressure to make an exit move."